yes gujjubhais dominate the diamond business in belgium.Once i went to this shop owned by the jew.He came to know i was from India.SO he greets me jai shri krishna and asks me su che mara bhai.i was shocked.He said he can speak little gujrati and can understand it very well.He was a hadistic jew who are very orthodox. did that guy have two long dangling sideburns? 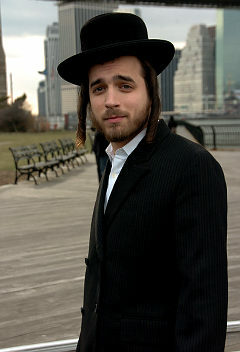 if not, he is not hasidic jew.